Dogs Dogs and Dog Walking at West Runton. 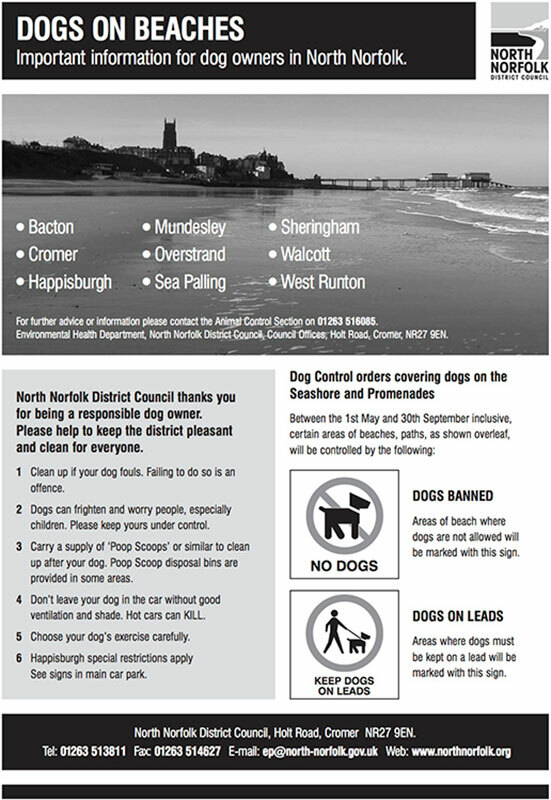 During the Summer months there is a small restriction on the beach which must be adhered to by all dog owners. If you are unsure of the dog restriction, please ask at the Car Park Hut, Cafe or Lifeguard Station. Please make sure you bring dog poo bags to clear up after your pet. There are three dedicated poo bins located at various points close to the beach, including one on the car-park and don’t forget it can also be put into any of the Council litter bins, If you do run out, poo bags are available at the café. Below is a map of the dog restriction zone that is in place from May 1st through to September 30th.